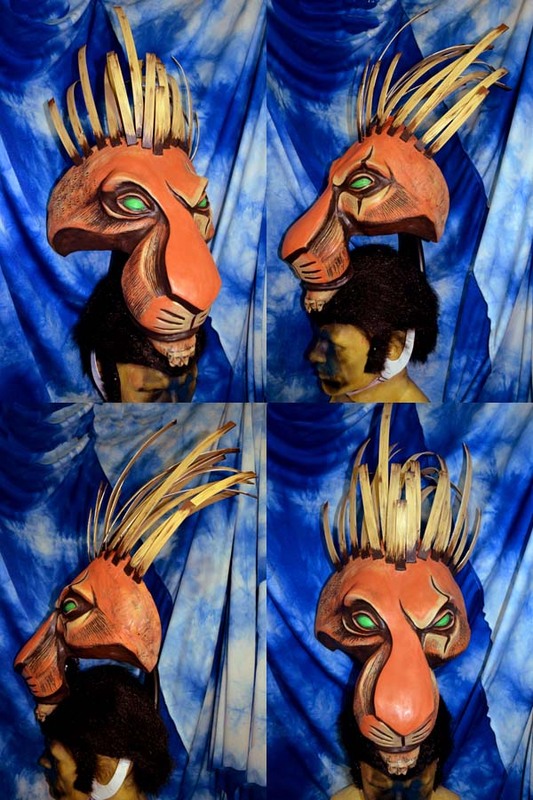 Komickrazi Studios - Temperance's Projects and Rants: Scar head - Lion King Musical - head complete! Scar head - Lion King Musical - head complete! The head is mounted to a skull cap made of ABS plastic. I plastered my head with plastercloth, then vacuuformed a base. I covered the base wit Kanekalon to give Scar his hair instead of making a separate wig. With hair covers the zip ties and bolts holding the rigging of the head in place. A make-up test... It'll look a lot better when I can pin down the sideburns so they don't flare out so much. I think I have the make-up down now.